This image feels apocalyptic to me. 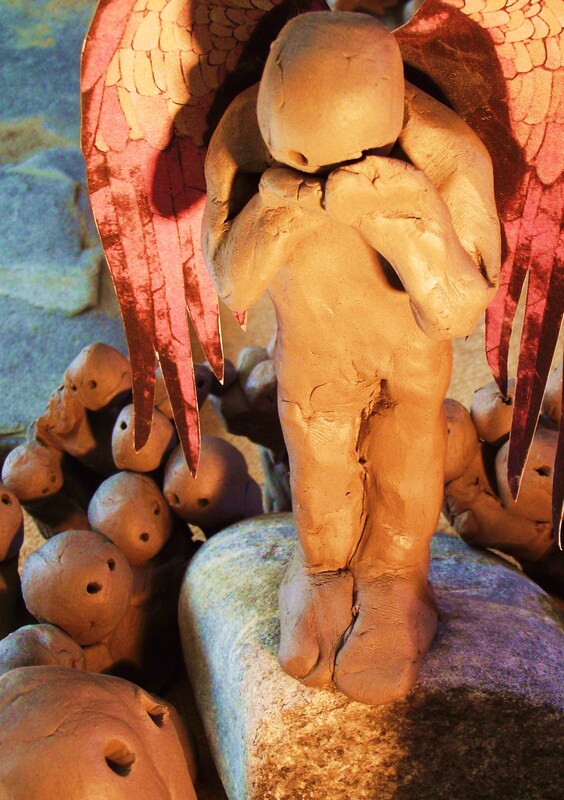 A great crowd amassed on a barren plain all looking to the angel for hope, but the angel hides his/her face; in shame? Or fear? Or sadness? Perhaps the people need to stop looking for some kind of saviour to help them but look to themselves and to each other and then to get on with the hard task of living in loving community. Maybe that’s why the angel hides, out of love, because as long as it seems like hope and salvation will come from above then people will never realise that it is in fact in their midst. Today is Ash Wednesday , the beginning of Lent, when Christian tradition remembers the time that Jesus spent in the wilderness: a barren place without hope, direction, sustenance or identity. Bereft of all of those things that we can draw comfort and strength from it’s in the wilderness that we find our true selves. 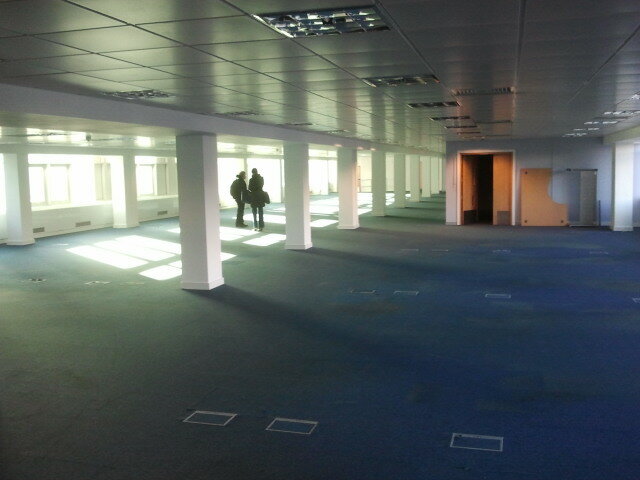 Vast, empty, anonymous, like so many other spaces in Sheffield City Centre or in towns and cities across the country. When I describe to people where it is, at a prominent location on a busy road, they tend to rack their brains and then eventually have a dawning realisation of which building I mean. It’s as if this huge office block is invisible until you start to think about it. I’ve found this to be true for so much of the city (and this really isn’t a criticism of Sheffield’s architecture) until I faced the prospect of actually building a model of the city for this project I never really saw what was there: strange corners, abandoned buildings, brutish concrete structures. I had wandered around the place that’s been home for half my life as if with my eyes closed. And now we’re faced with the prospect of filling this wide open space with something creative and wonderful. The process of creating changes a space and gives it meaning – I would say that this makes it sacred space although you might use different language. What meaning could be embodied in this creative act in such a place? I’m not sure, although I do have some ideas – like hazy shadows in the midst of the practical chaos of all the stuff that needs to be done to make this work (and I’m still not entirely positive that it will work). I have faith that meaning and value will emerge from the process of creation. When people talk, share their stories, work together to bring something to fruition that isn’t done to make money, or to make us famous or for a thousand other noble or ignoble ends – but work together simply to create for the sake of creation then I have faith that such a process changes us. It helps us to discover something new about ourselves, about how we relate to each other and to the world around us. This joyful, playful and creative process is the language of the soul. I’m not sure what the journey will bring, although I’m confident that there will be times of frustration and confusion, and faced with this vast blank sheet I feel a fair degree of trepidation. Nevertheless I have faith that seeking beauty and community in one of the ordinary spaces in the city, the kind of place where so many people spend their working lives, will be time and effort well spent. So, whether the end result is stunning success or glorious failure (whatever either of those things may mean anyway) what does it matter? the journey’s the thing and I’m excited to find this adventure unfolding in the most ordinary and unlikely of places.